Regular readers of my blog will know that I do not particularly enjoy our cold winters. However as spring envelops us, the weather warms up and the sun’s rays soak into my skin and prise something open from within. My heart feels somehow warmer and I feel invigorated and alive. This is mirrored in my surroundings. At this time of year, no matter which window I look out, I can see a mass of white apple blossom, contrasted against the lush, green of tender new growth. I find myself in an almost constant state of distraction, drawn to gaze out at the breathtaking beauty with a sense of wonderment and respect. 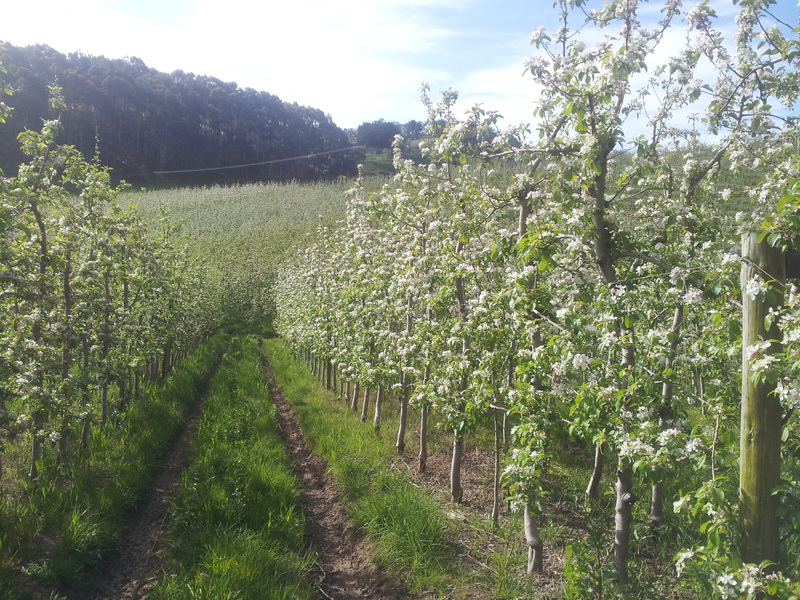 I find that I cannot adequately put into words the magnificent performance that the orchard puts forward at this time of year, so I will try to show it in pictures instead. This is one of the many views from our house. The trees at the front are a young block out in full bloom. ….. shown more closely here……….. The look of the blossom up close varies slightly between varieties, but when the flowers first appear they show a pink tip, before opening out to form a white flower with 5 perfect petals. Which shows as a mass of white within the block itself. 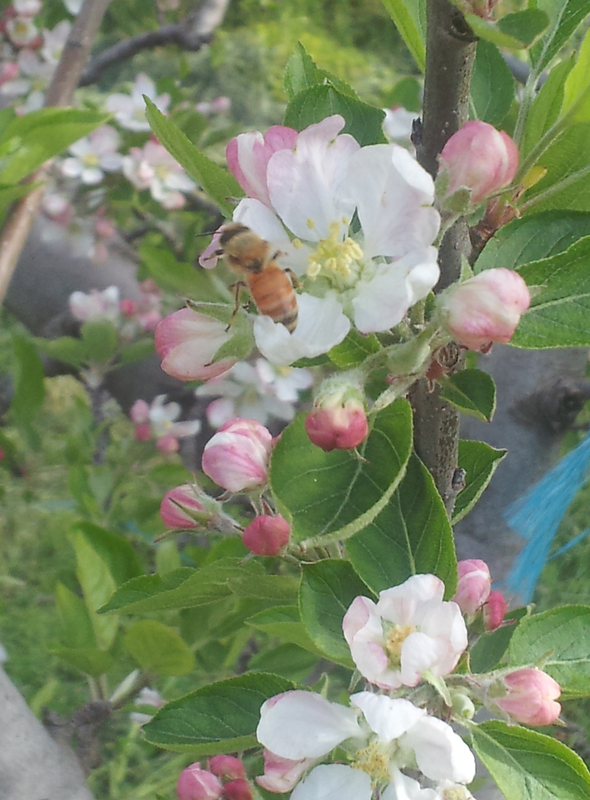 Fruit trees rely on pollination to occur in order for fruit to form. 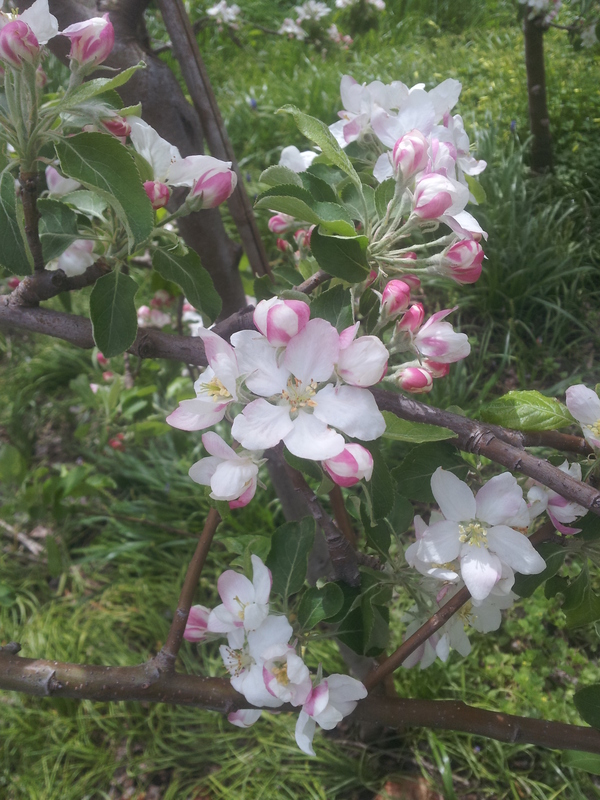 Most apple varieties require cross pollination with different varieties. Some of this happens with wind, but insects, in particular bees, play a vital role. 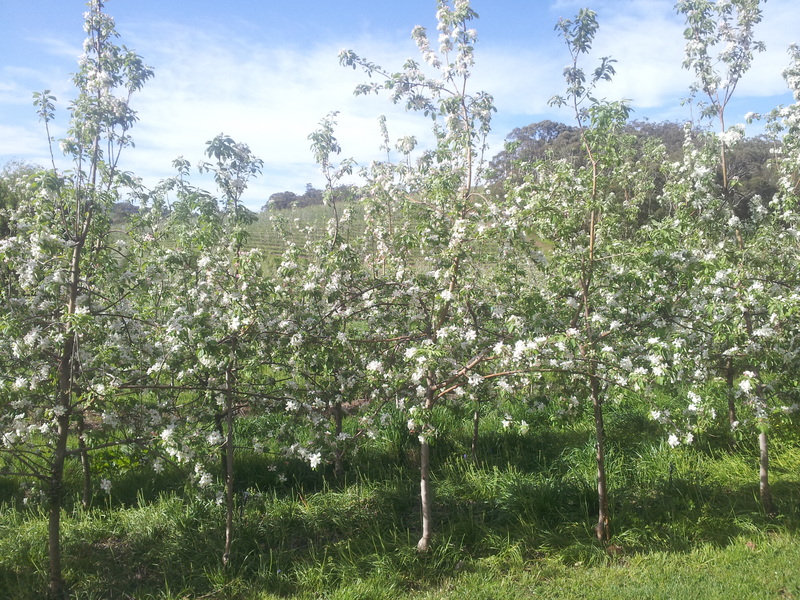 Walking through the orchard on a warm day the senses truly become alive with the beautiful sights, scents and also the gentle hum of bees. Much of the pollination happens with European bees. 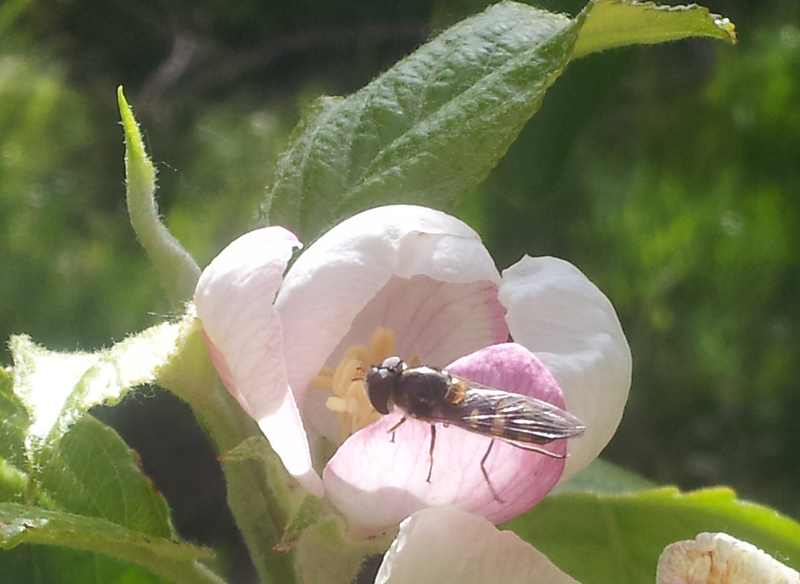 Although native bees also play a role Sometimes bees are introduced to provide more certainty with pollination. 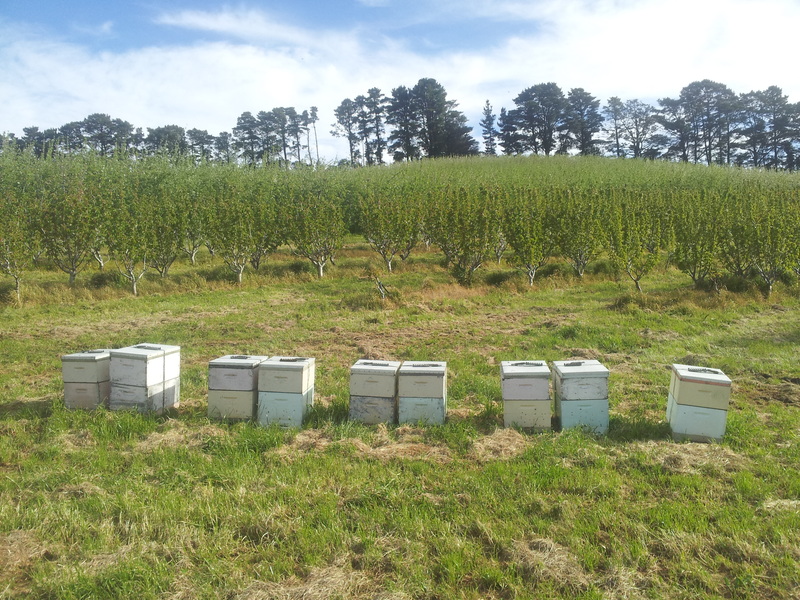 Here are some hives brought in to assist with the pollination of cherry trees. 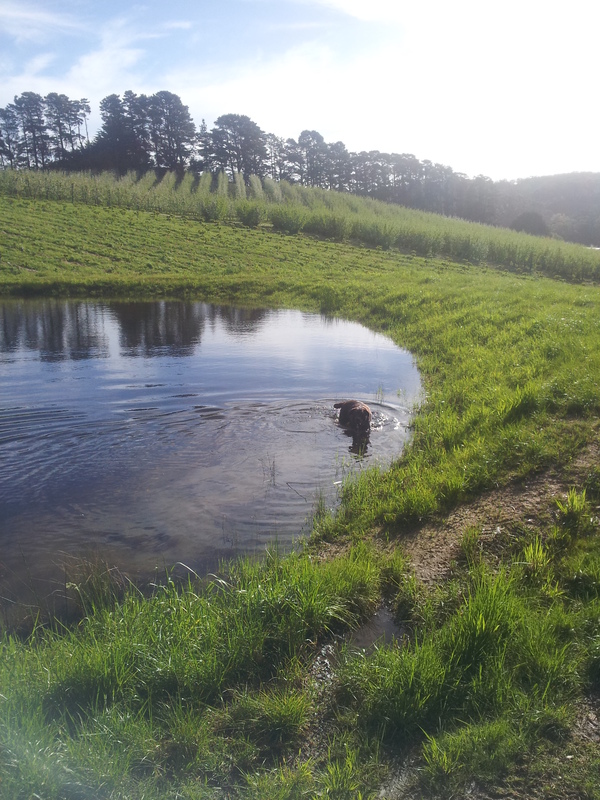 After a fairly wet winter, all our water storages are also full in preparation for the summer ahead. 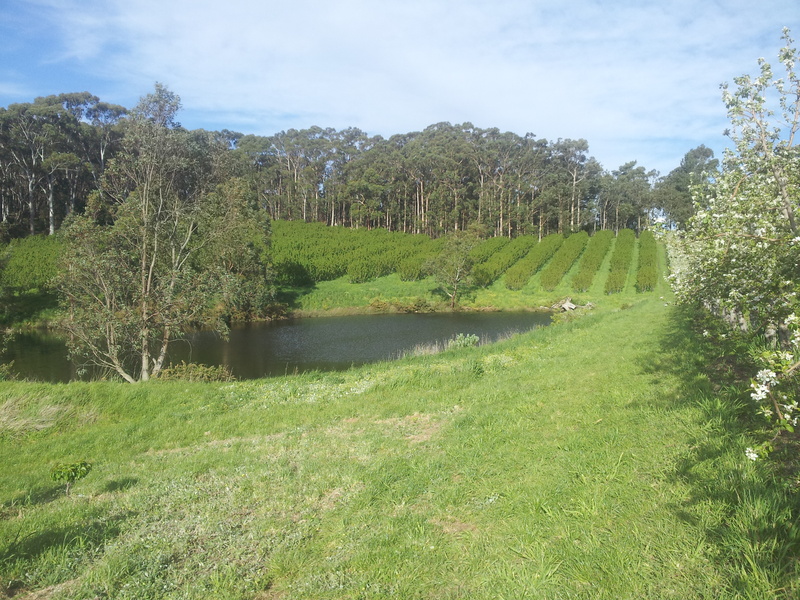 Careful water management is absolutely critical to sustainable fruit production and every drop of water is precious. 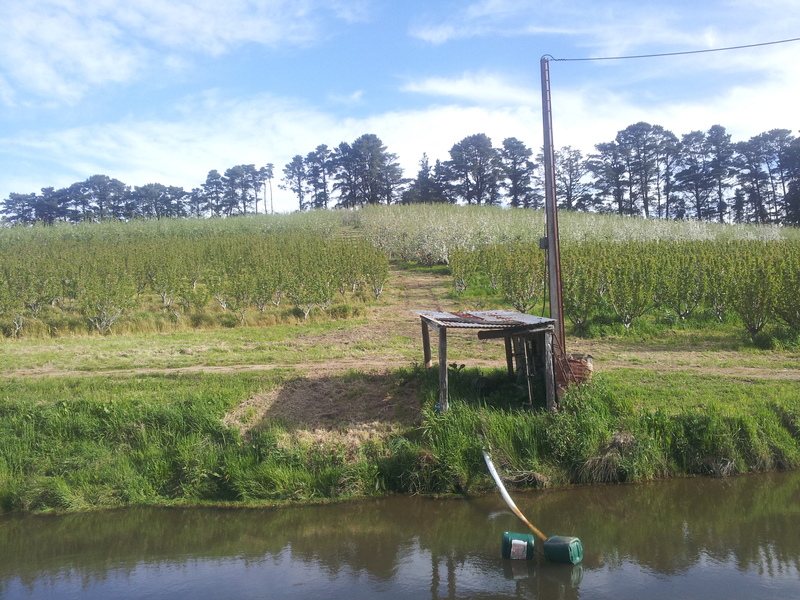 In the late afternoon sun, the orchard is being mowed to return the precious organic matter to the soil and keep the tree rows accessible. 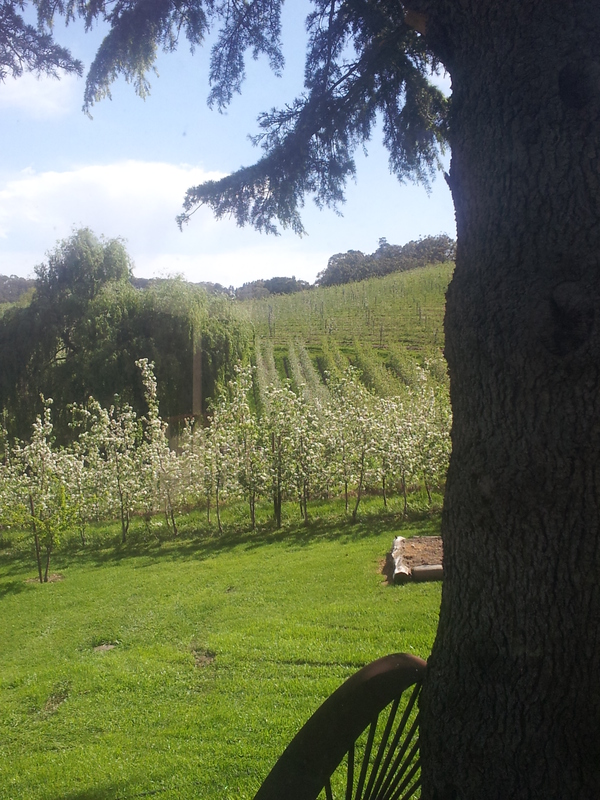 It is a long-weekend when many people are resting, but on an orchard, spring is a very busy time of year. 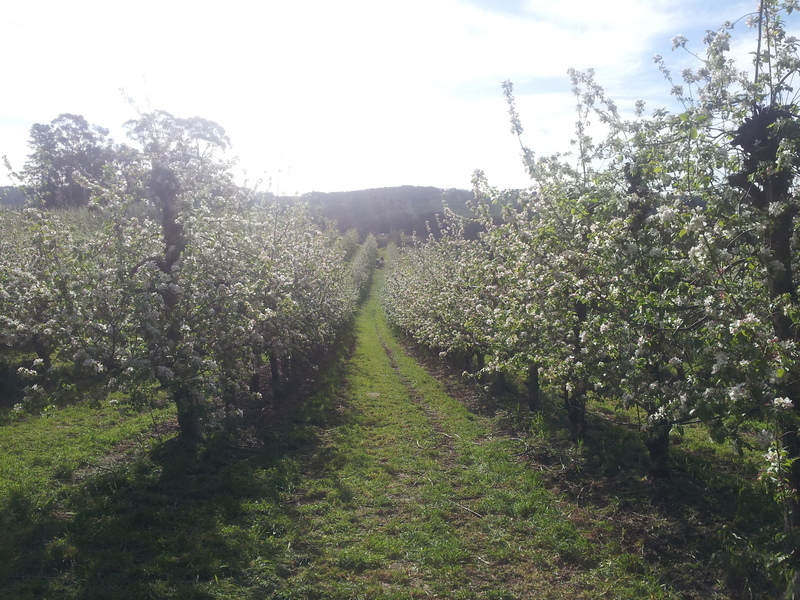 While these pictures cannot adequately capture the true sights, sounds and smells of spring on an orchard they do perhaps provide a small snapshot of my constant source of distraction. Every day my view changes subtly as everything rapidly comes to life after a cold, wet winter and with it, I feel like I am coming to life too!